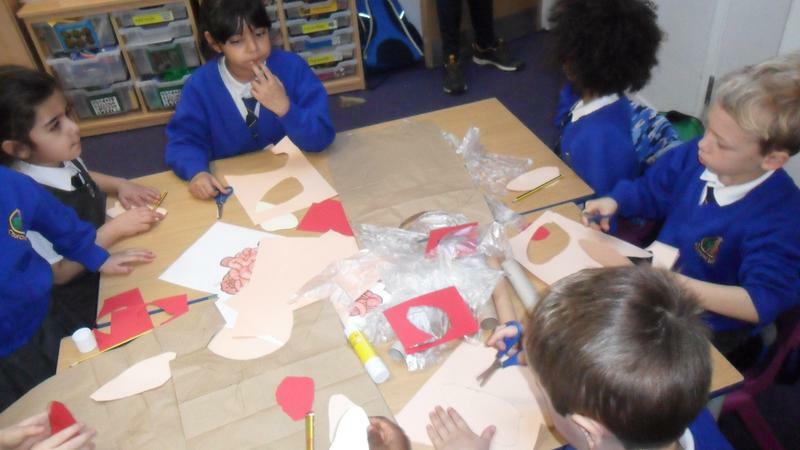 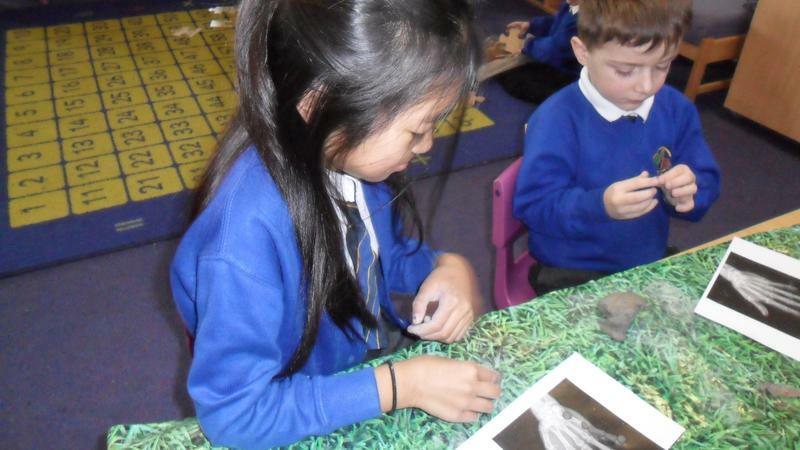 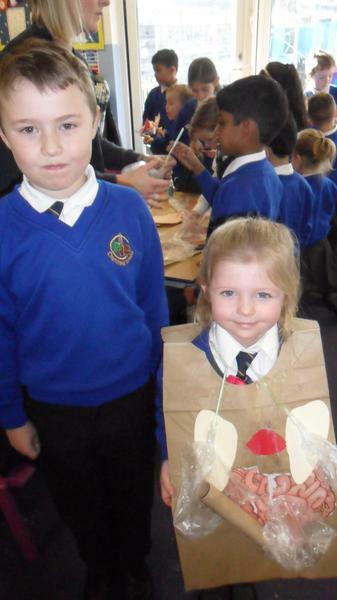 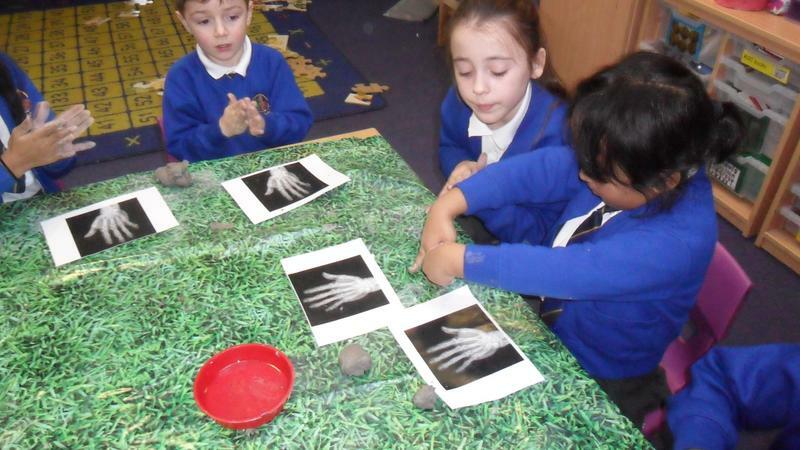 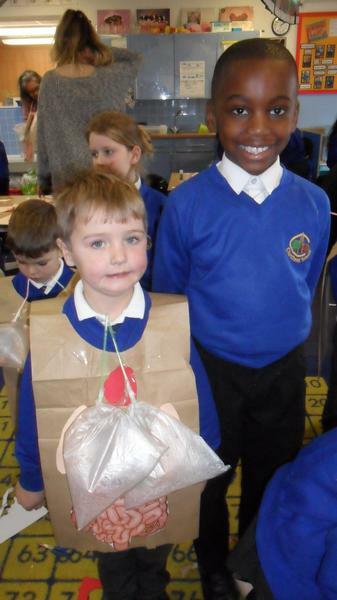 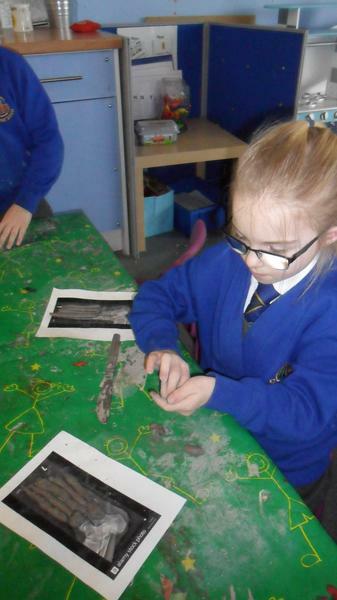 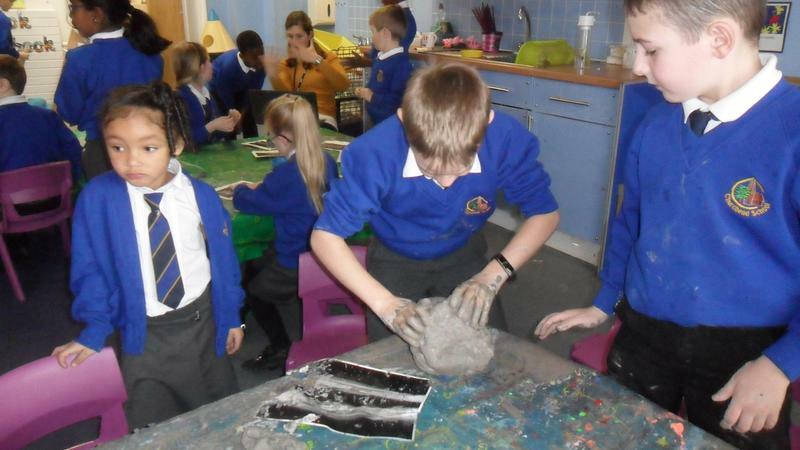 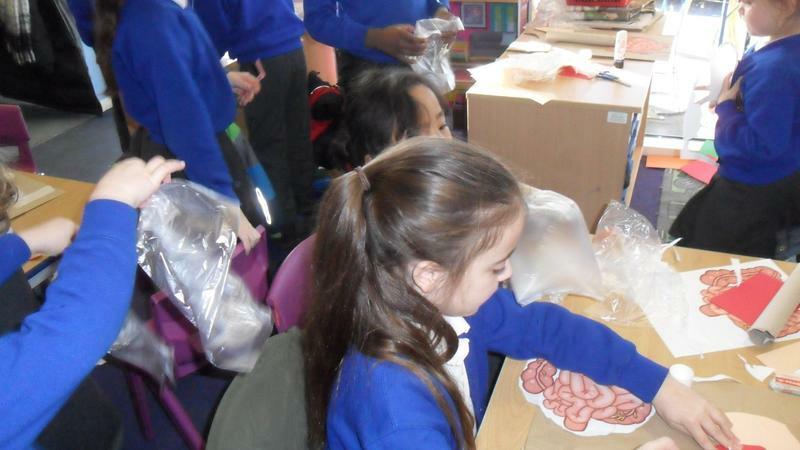 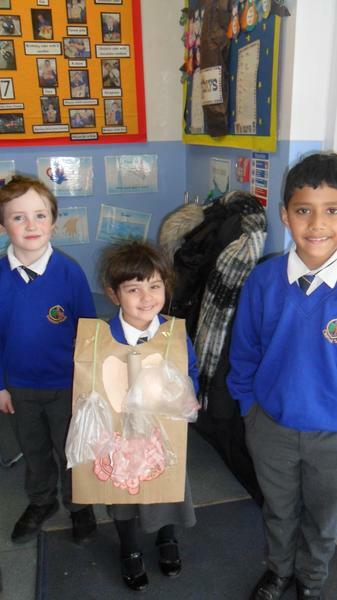 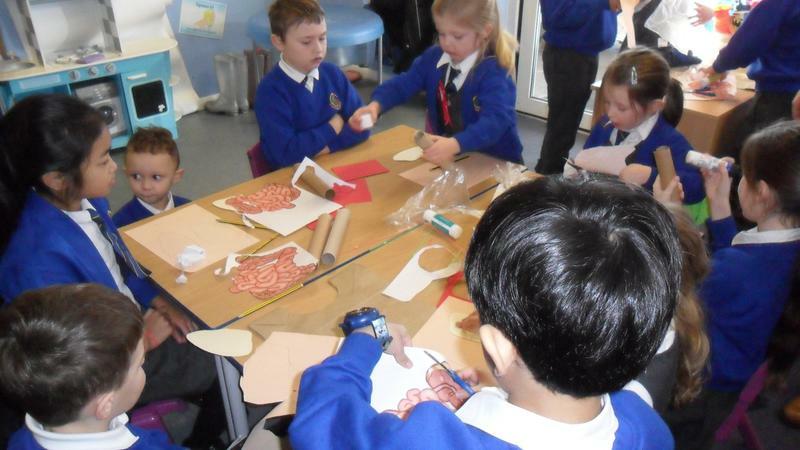 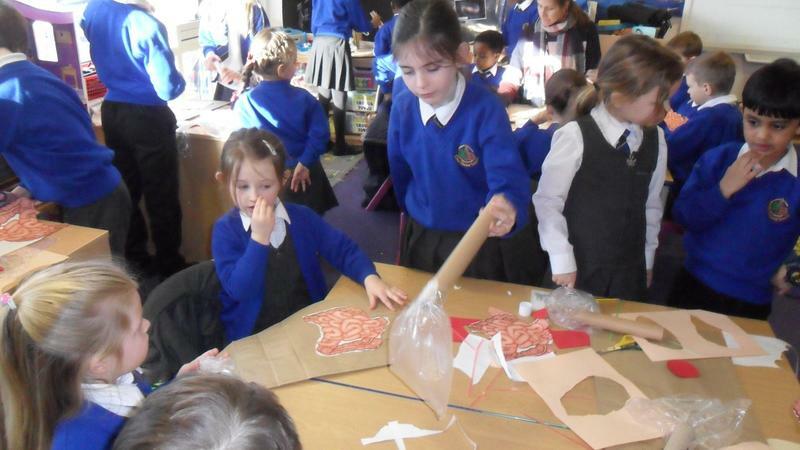 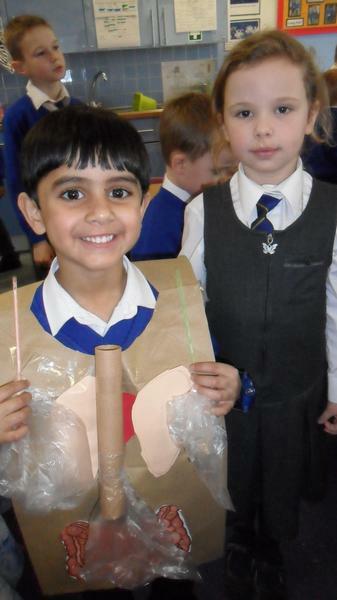 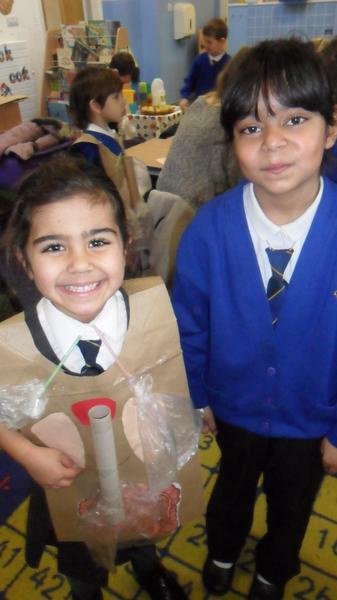 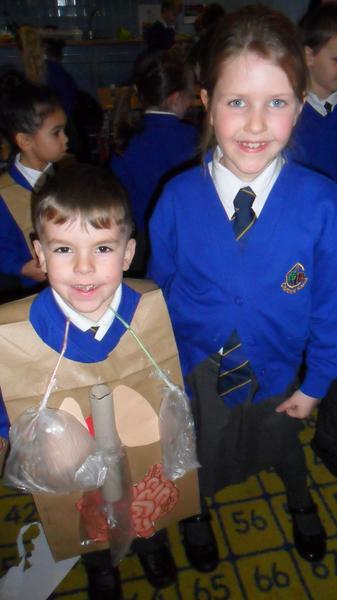 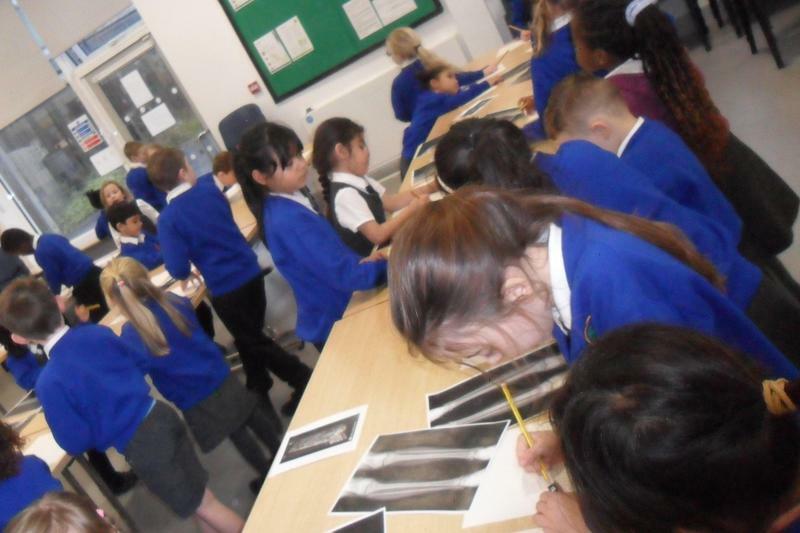 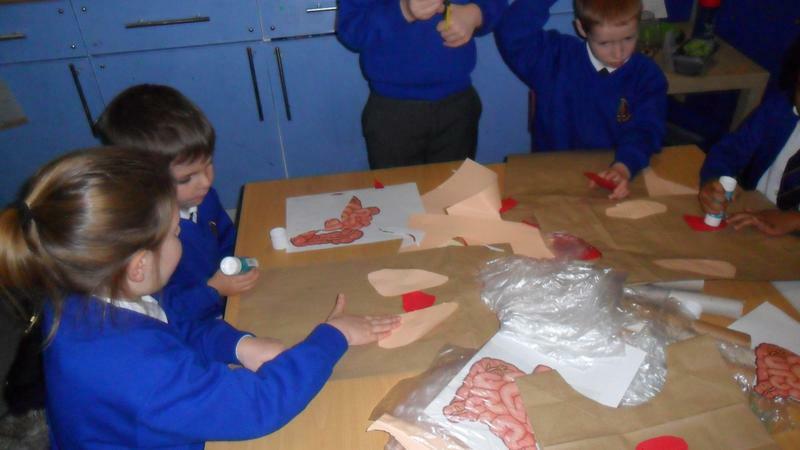 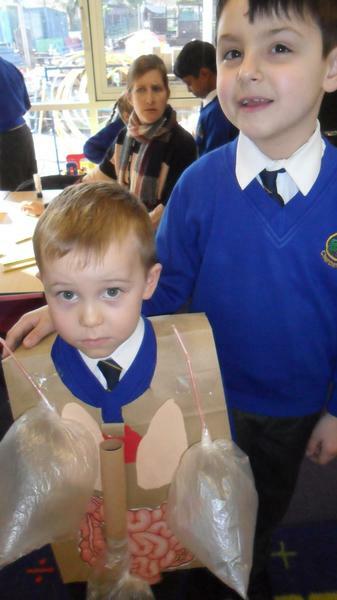 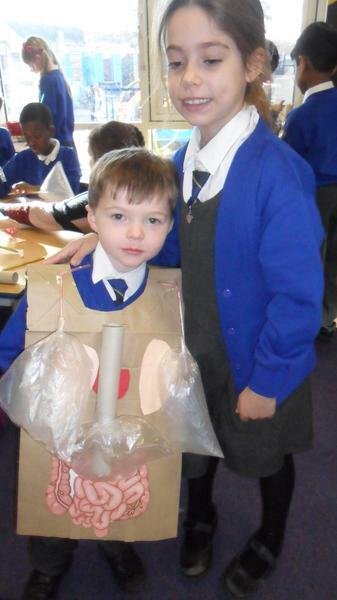 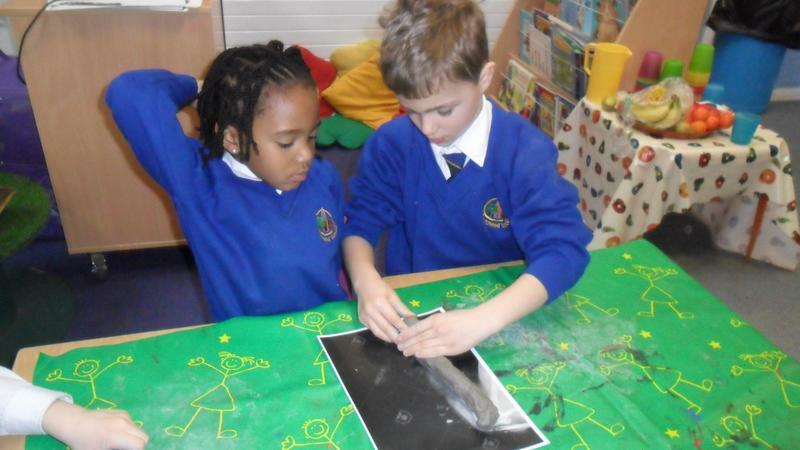 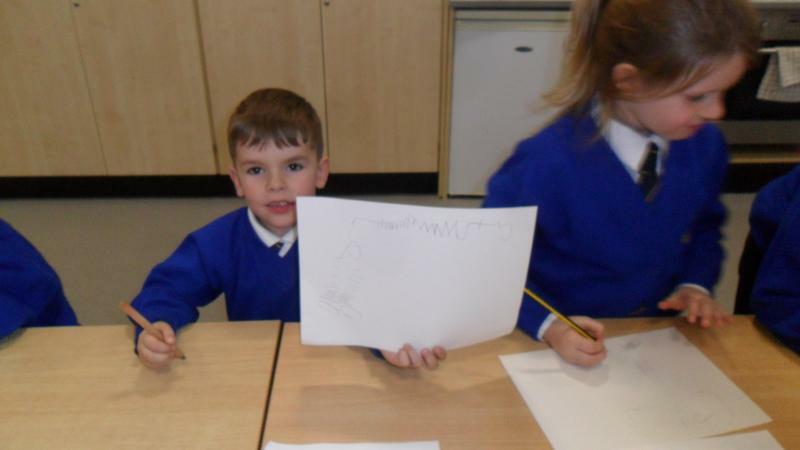 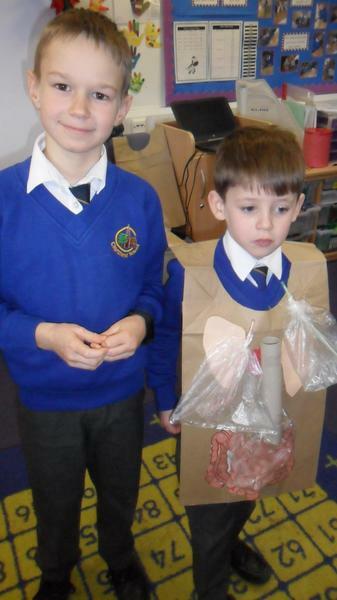 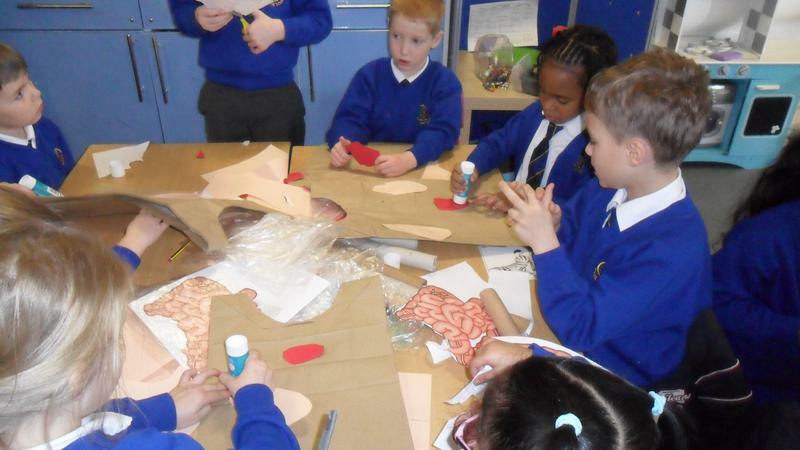 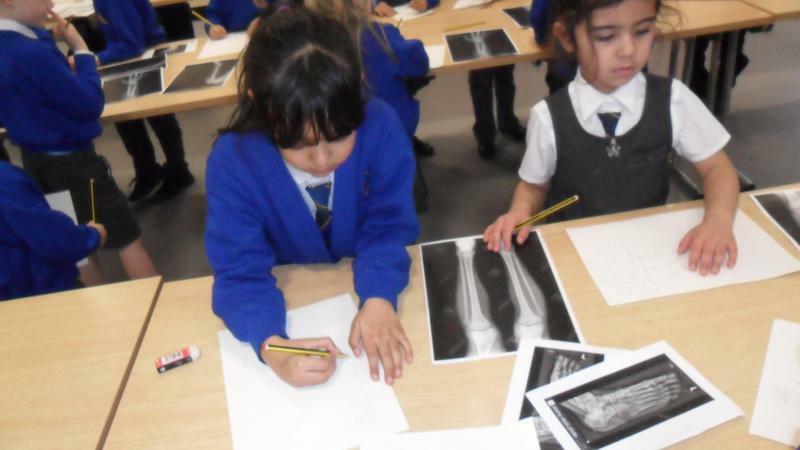 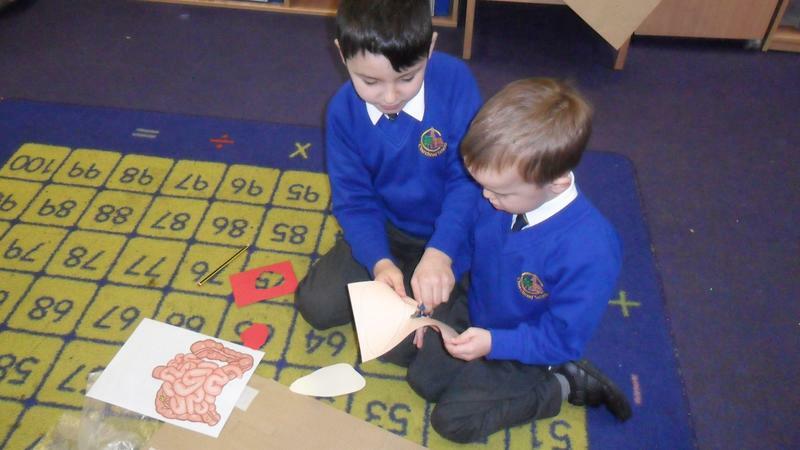 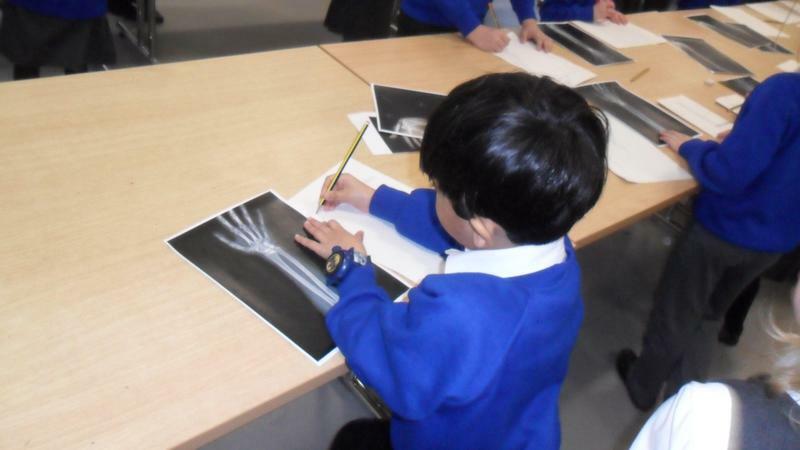 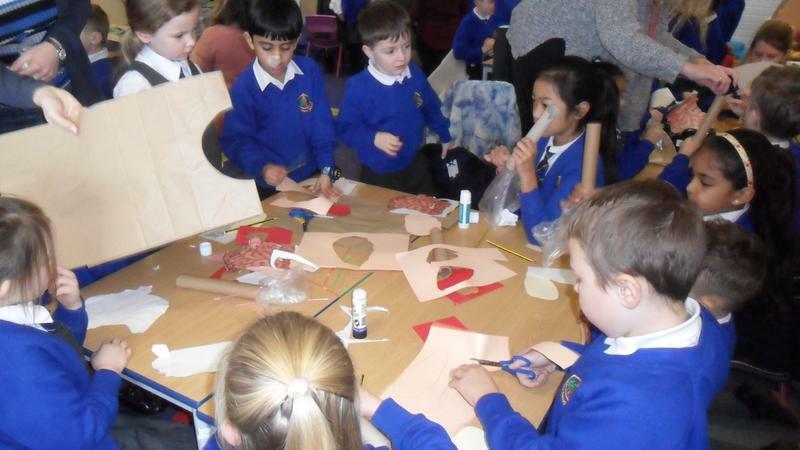 The children took part in a theme week based on the work of Leonardo Da Vinci. 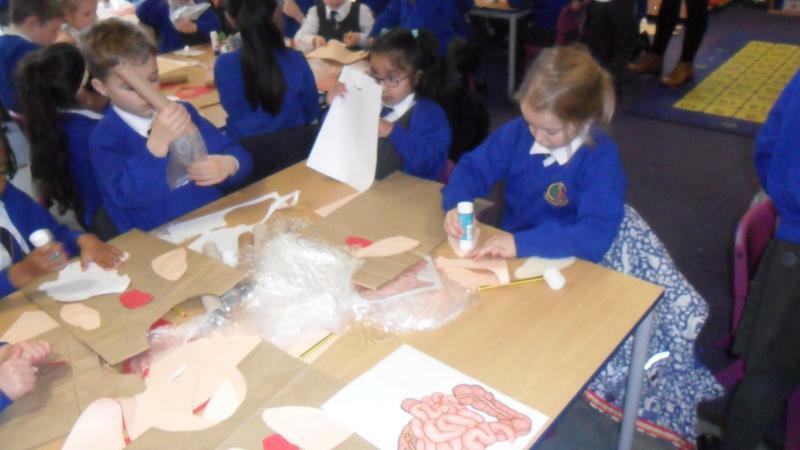 The children were extremely lucky to participate in specialist workshops during the week. 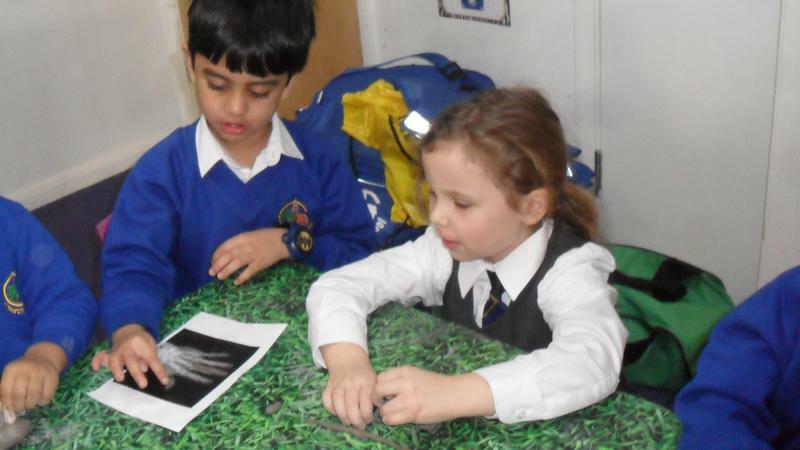 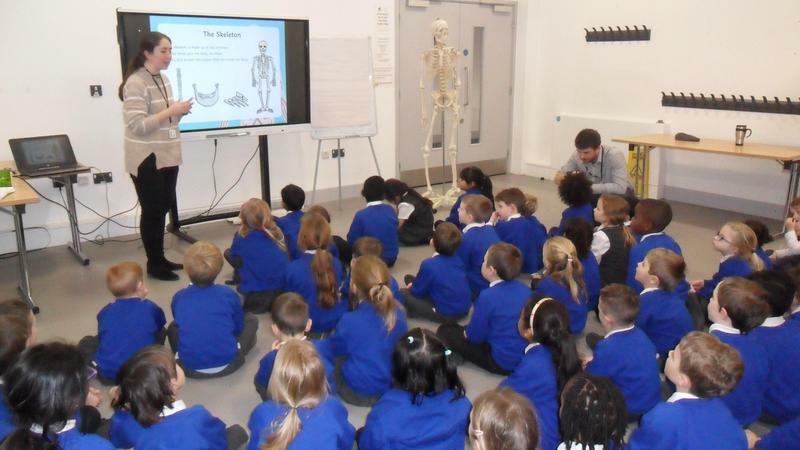 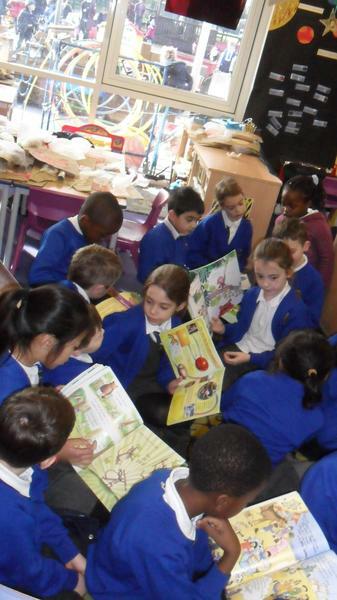 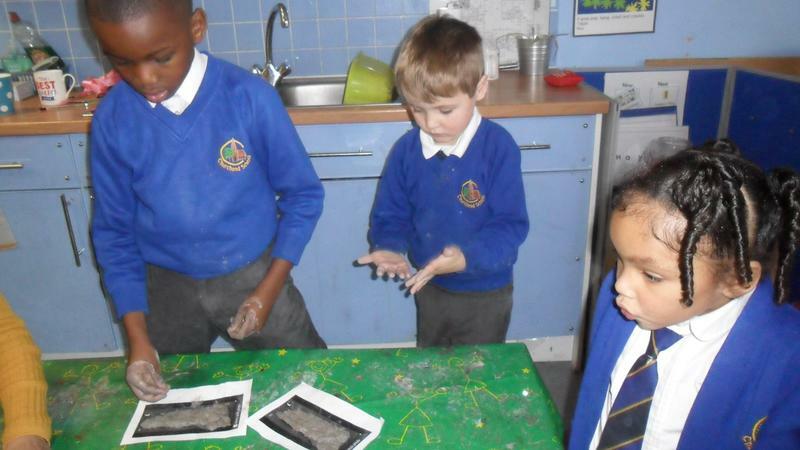 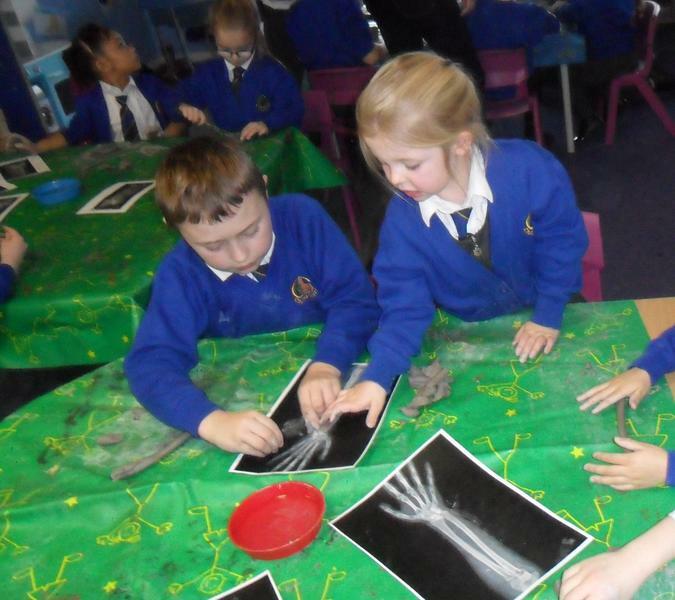 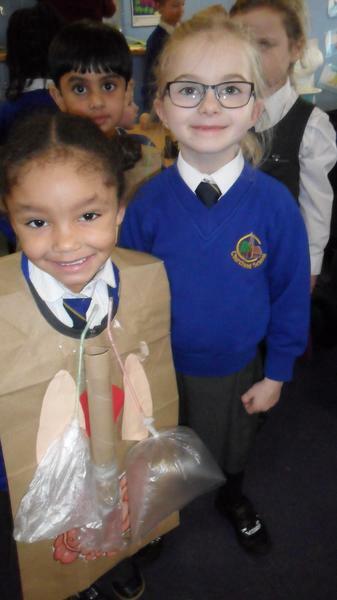 Nursery to Year 3 had interactive science workshops with Mini Professors. 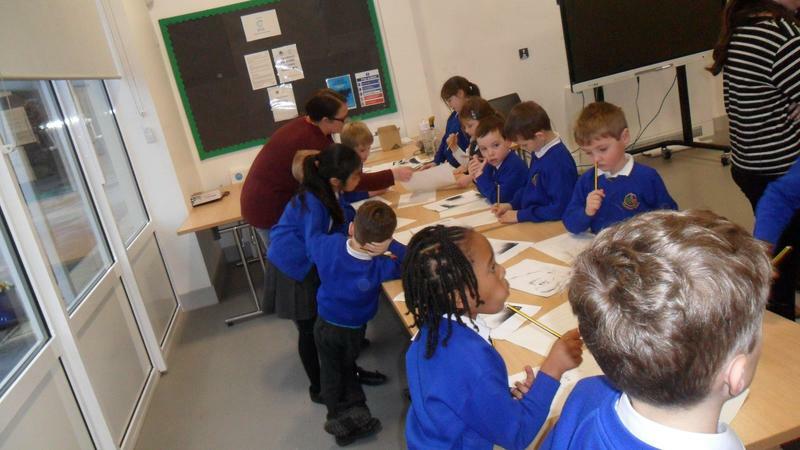 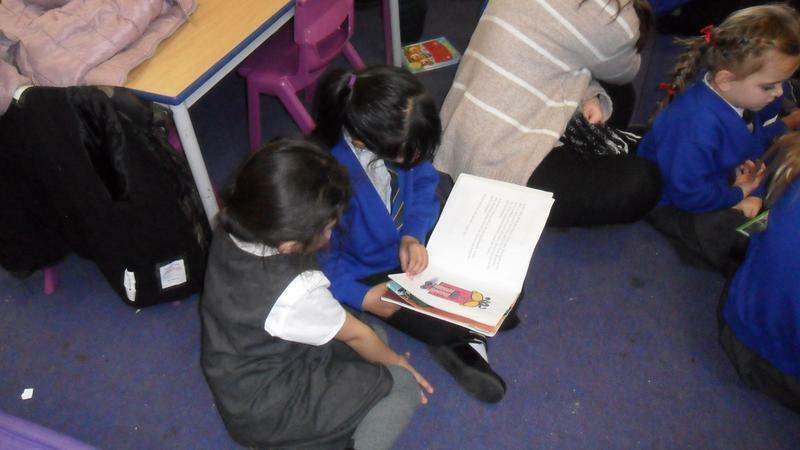 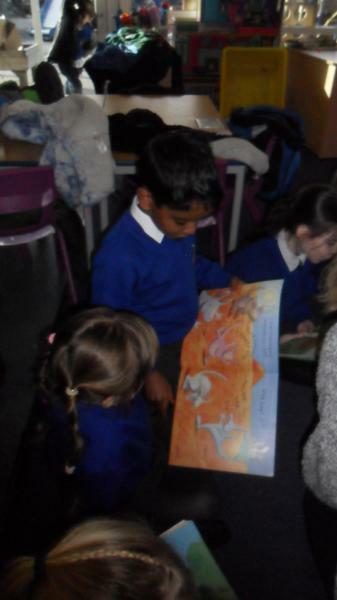 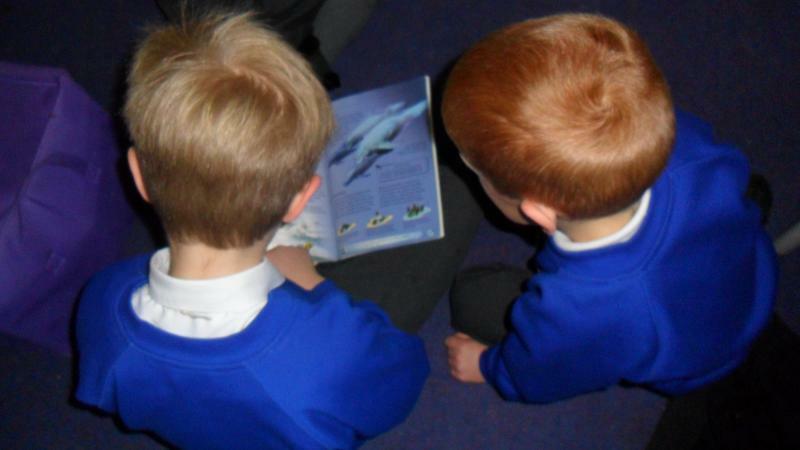 The children behaved extremely well with our visitors and got the most out of these exciting learning opportunities. 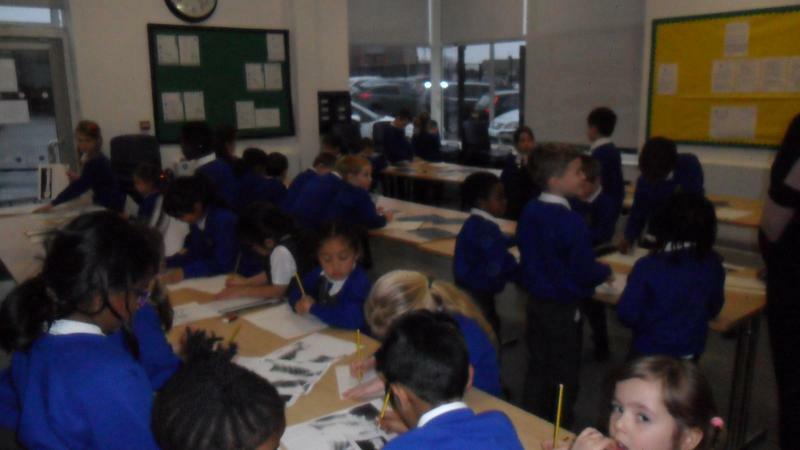 The children all became ‘Mini Da Vincis’, painting on the dining room wall to create a mural of influential people. 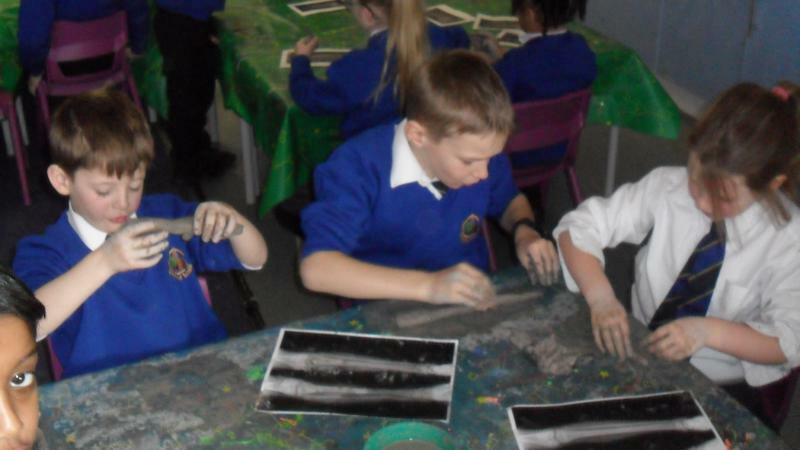 The final mural is a fabulous manifestation of the children’s learning and a rewarding example of our whole school working together to create something remarkable. 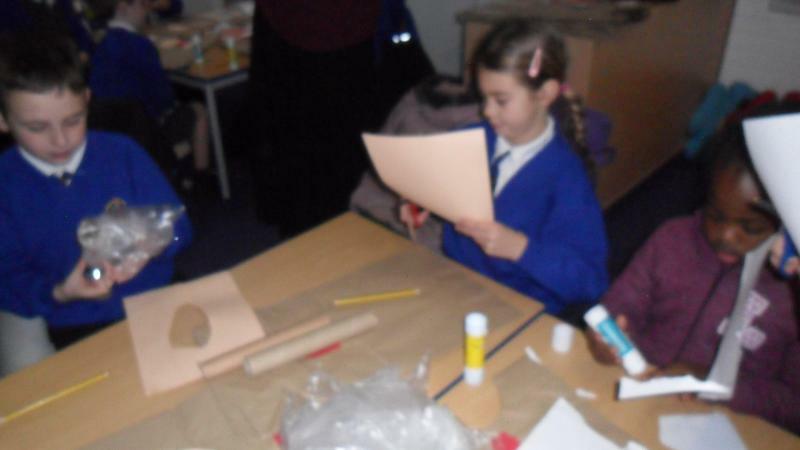 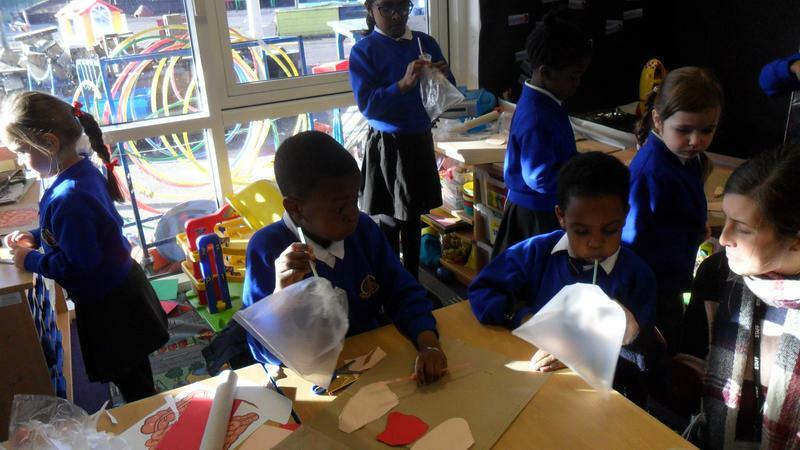 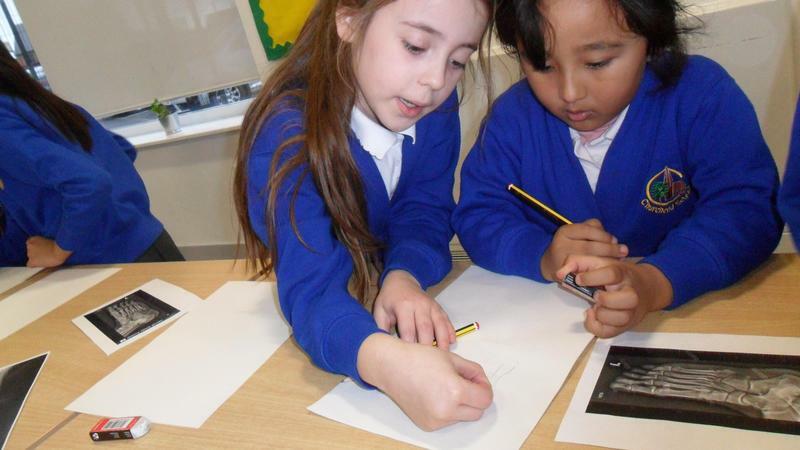 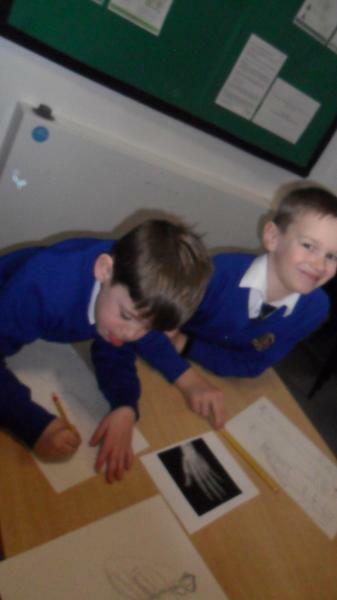 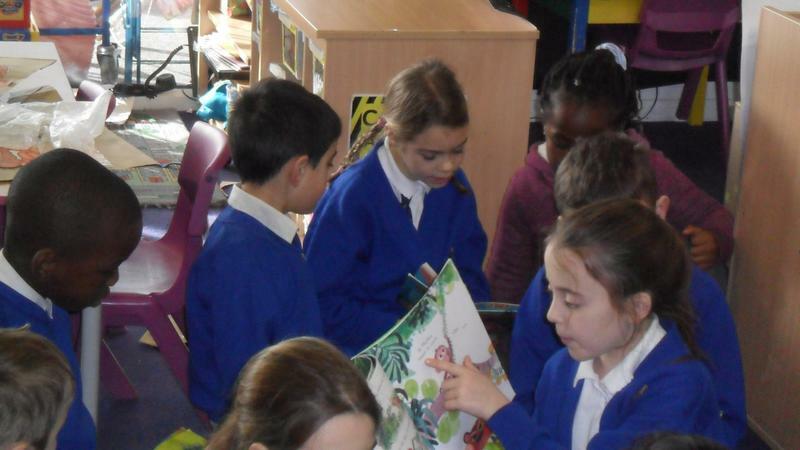 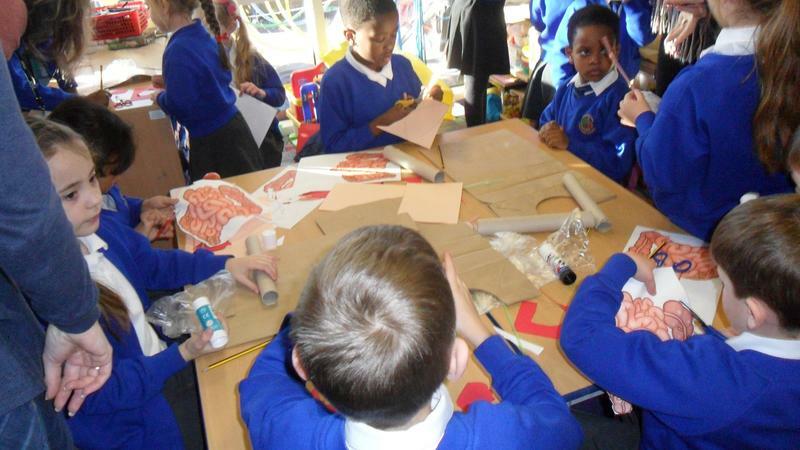 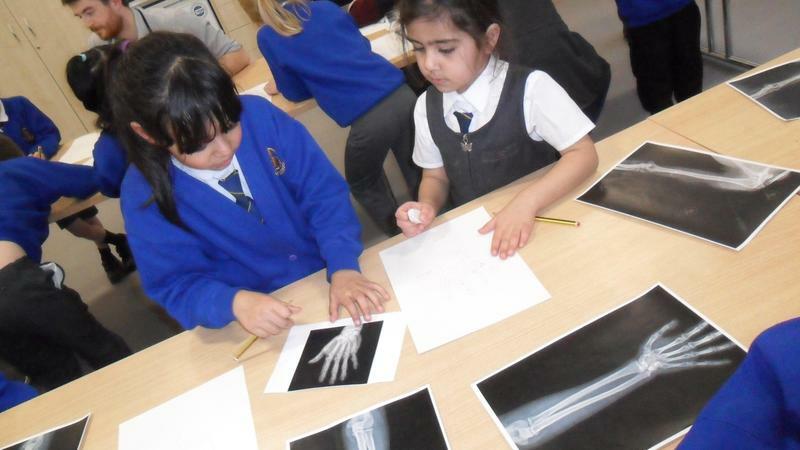 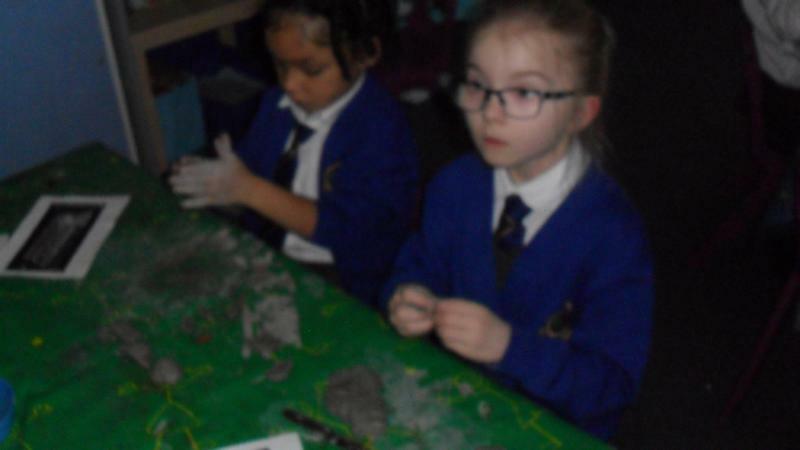 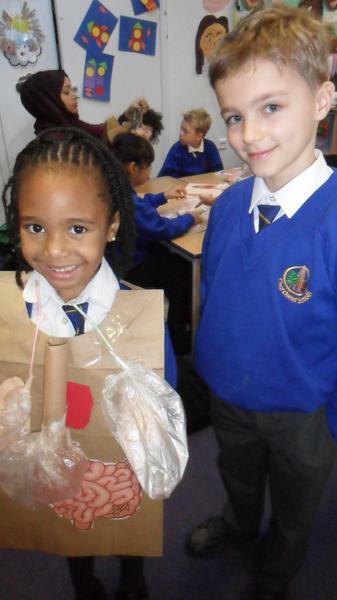 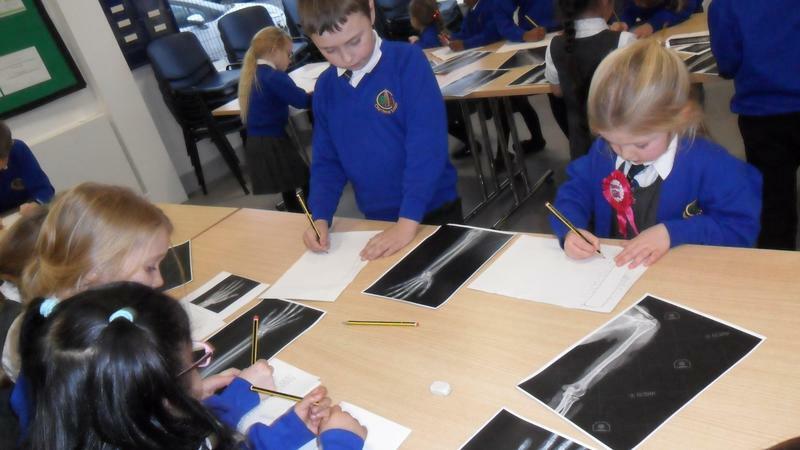 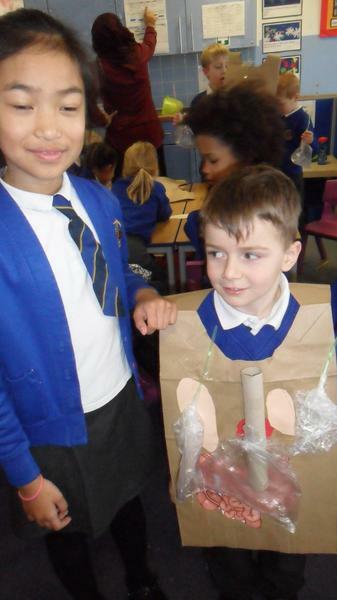 The children have been working with Year 3 on some joint projects based on the work of Leonardo da Vinci. 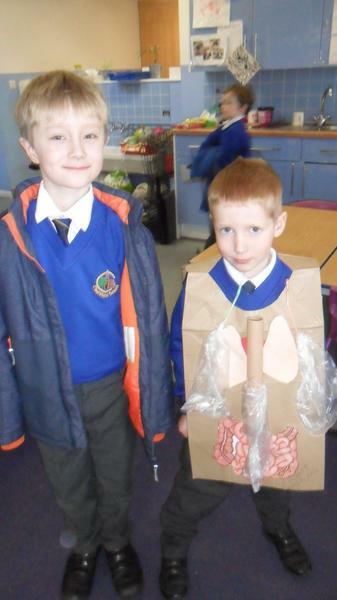 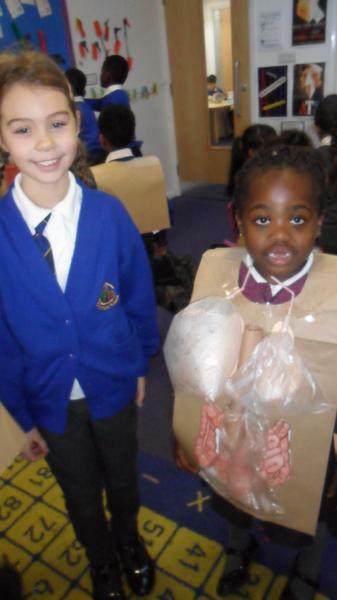 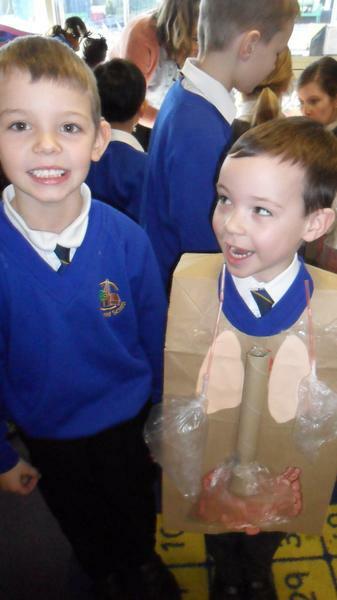 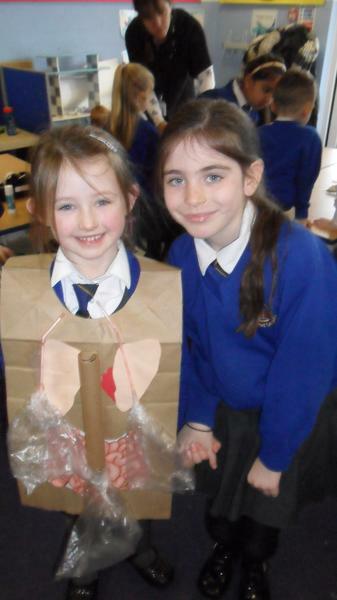 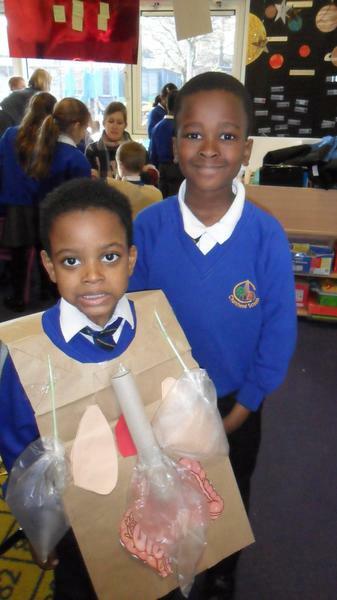 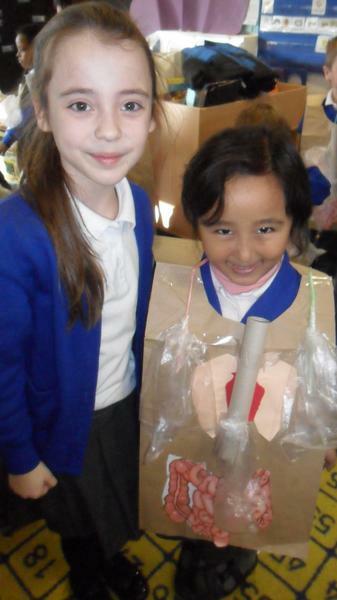 Together they made ‘Inside the body’ tabards, with working lungs and stomach. 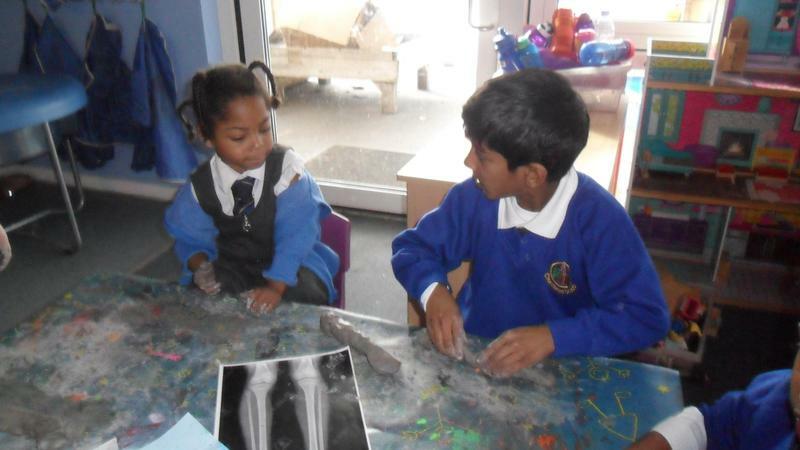 They created a class skeleton together out of clay after looking and sketching the bones of the body. 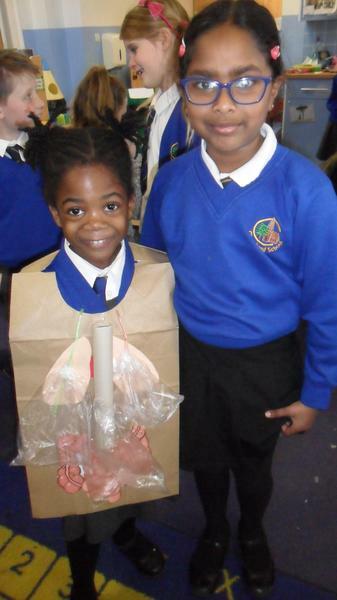 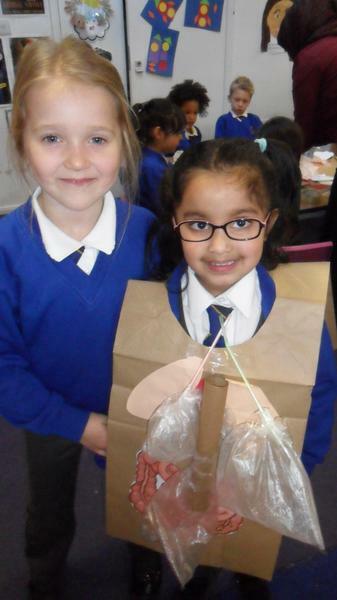 They designed a package and parachute to help a Pringle make it make to earth in one piece! 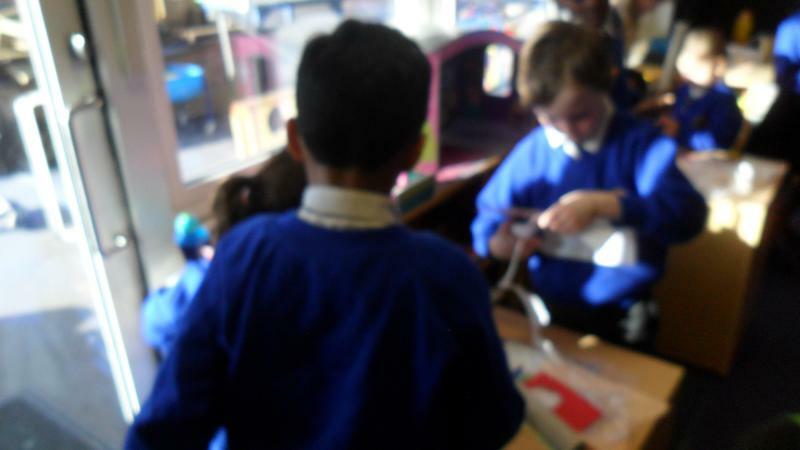 Then they tested their design and talked about why they were / not successful. 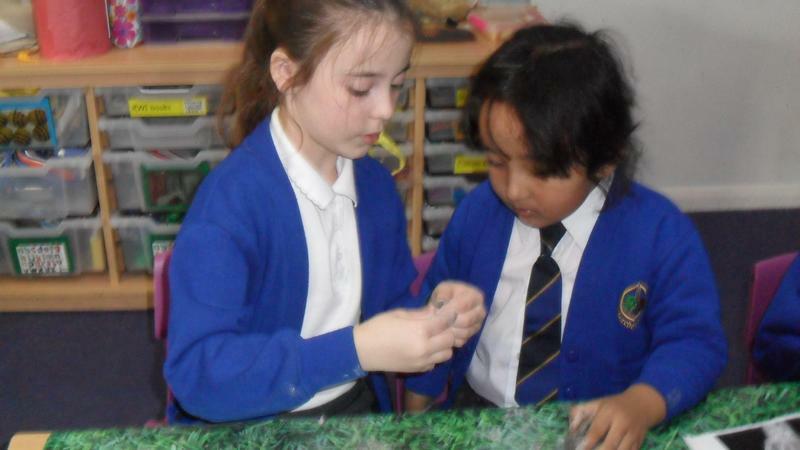 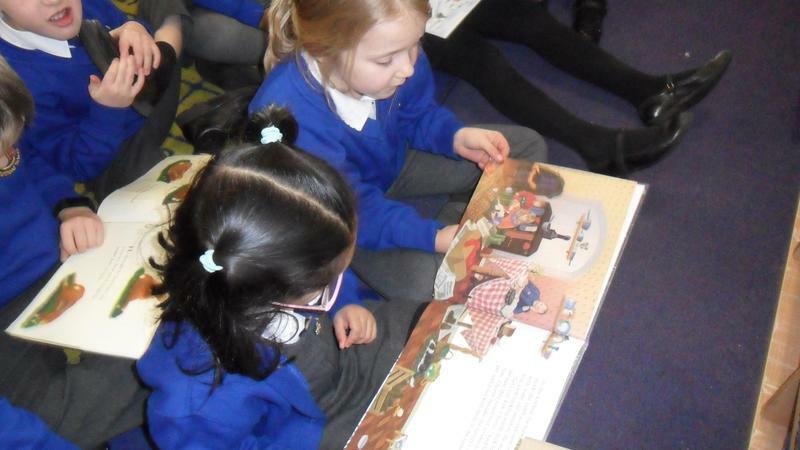 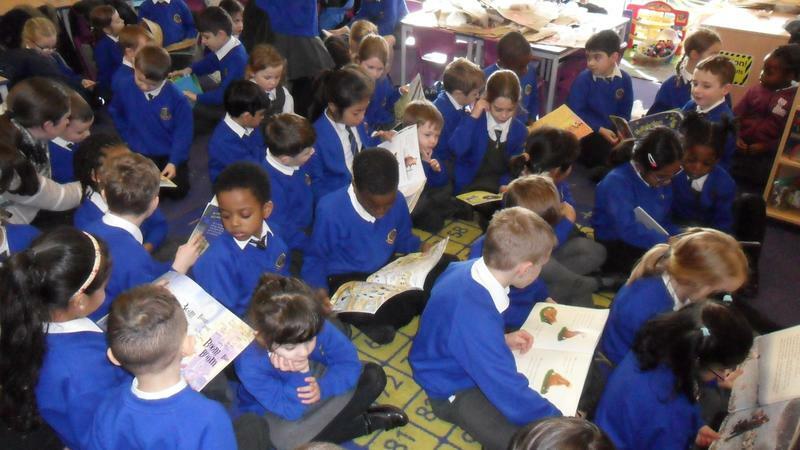 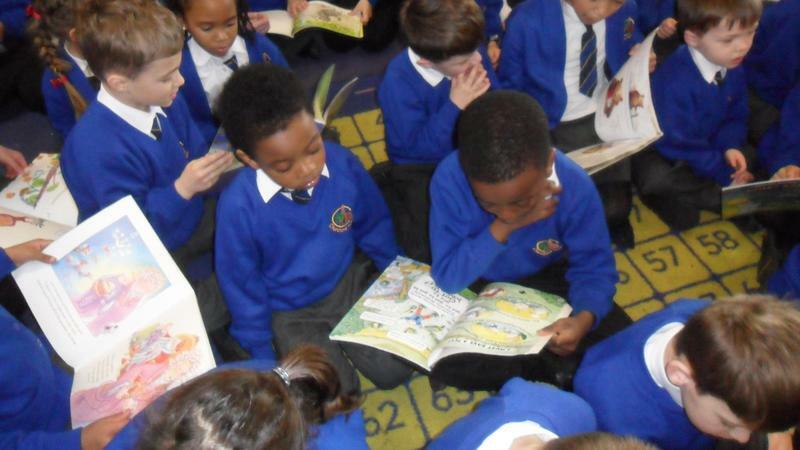 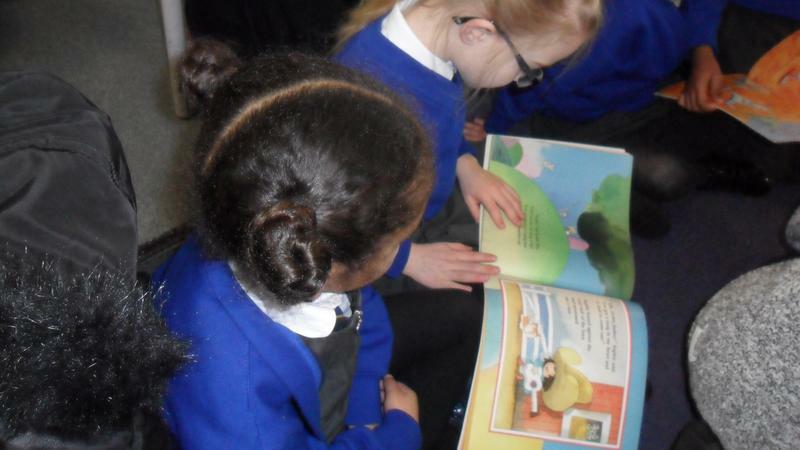 They have paired up with another child in the Year 3 class and spent all the week with them building a relationship as they worked together, playing at break, enjoying lunch together and reading stories.